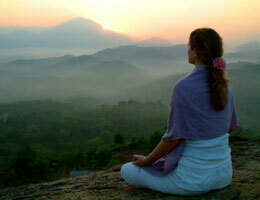 Acem Meditation is practiced in 18 countries around the world. It does not require you to monitor your thoughts; instead, it is a non-directive method based on the effortless mental repetition of a sound. In this series, participants will learn to use this technique for relaxation and deep stress release, increase energy levels, stimulate creativity, and experience spiritual renewal. In Acem, the mind is allowed to wander because this wandering provides access to the deeper self, where emotional blockages and fears reside. It also expands our healing capacity by giving us the tools to work on, reduce, or heal these blockages that keep us from moving forward. How can you get the most out of meditation? Rolf Brandrud has three tips. He is one of the instructors for a course in Acem Meditation at Open Center in April. Read more: Discover the Power of the Wandering Mind.